Pigs are very special in Wamena. 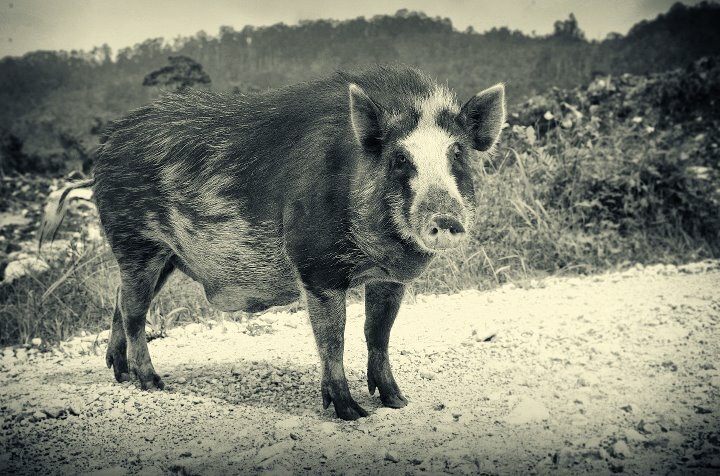 The legend says that the origin of the word Wamena means feeding the pigs. Price of a pig which is like in this picture may range between 40-50 million Rupiahs. To measure the level of wealth and honor a family's head, it can be judged from the number of pigs owned by him. If a pig was accidentally hit by a car, the driver must pay compensation to the owner of the pig up to hundreds million Rupiahs. This is due to customary law is still applied in Wamena. So, interested to go there to meet the pigs?